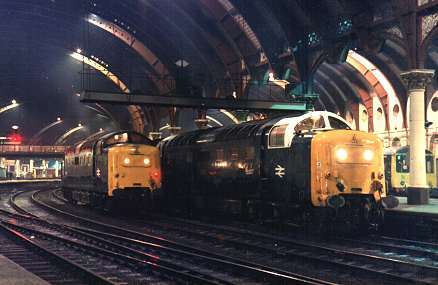 55008 stands at Edinburgh Waverley awaiting the 0550 London King's Cross - Aberdeen which it worked forward. 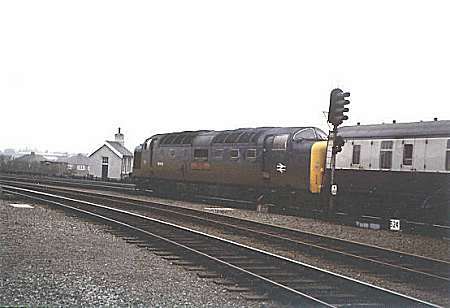 The train was booked for a Deltic from London - Edinburgh for a class 47/4 forward. On this day (24th August 1981) it was the other way round! 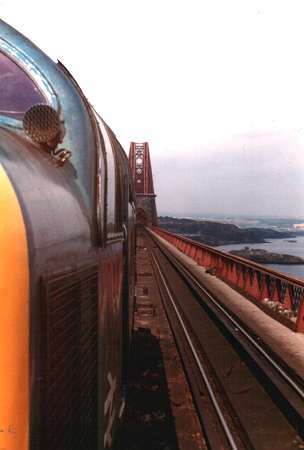 From above we see 55008 crossing the Forth Bridge on it's way to Aberdeen. 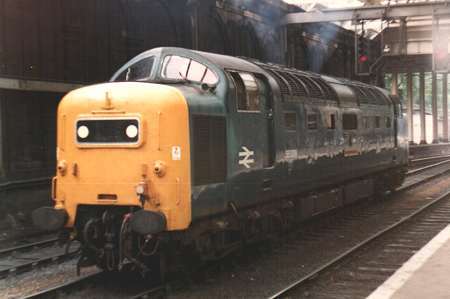 55008 encountered braking problems whilst working the 1045 York - London King's Cross (1A37) of 15th July 1980. 46034 was attached and the duo gave a very lively performance. 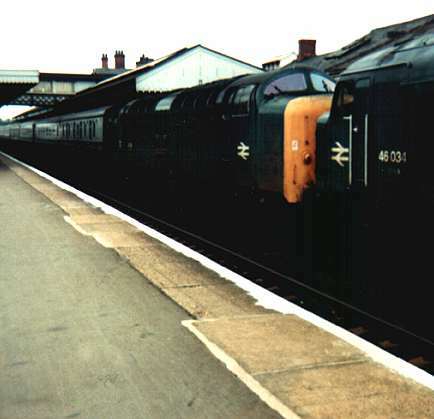 They are seen here at Grantham. 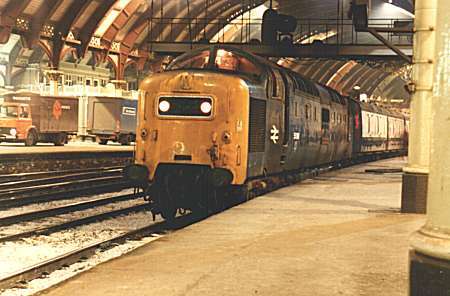 55008 at York on 11th April 1981 at 02:53 hours. On the right are a pair of newspaper lorries in 'period' livery!! Click the ticket to Continue!